One of the trickiest things about saving for retirement is estimating your future living costs. After all, it's hard to predict the extent to which inflation will rear its ugly head and how lifestyle changes will cause your budget to shift. Interestingly enough, 44% of workers aged 50 and over think their living expenses will stay the same once they leave their careers behind, according to the Nationwide Retirement Institute. At the same time, 34% expect their living costs to decrease, while 22% expect them to go up. The question is: Who's right? What will your living costs look like in retirement? Without a crystal ball, it's impossible to say what your expenses will entail as you age. But it's pretty safe to assume that many of your current bills will remain mostly the same, such as groceries, clothing, utilities, and other such basics that all of us need regardless of whether we're working. Now keep in mind that the cost of these items is likely to rise over time because that's just how inflation works. But inflation aside, you can probably use the amount you're spending pre-retirement as a benchmark for what you'll spend during your golden years. You may even come to find that some of your costs go down in retirement, such as transportation. Imagine you no longer need a second vehicle to commute to work and can therefore unload that expense. Between your car payment, insurance, maintenance, and fuel costs, that's some nice savings right there. Unfortunately, transportation might be your only expense that goes down substantially. Now let's talk about housing, because that one is iffy. Your housing costs might go down in retirement if you pay off your mortgage while you're still working, but property taxes have a tendency to climb over time, and as your home ages, it's bound to require more maintenance and repairs. Therefore, while you might unload your mortgage payment itself, the amount you spend to keep that home standing could wipe out any associated savings. On the other hand, you also have the option to downsize, which would allow you to cut your housing expenses and give you a bit more breathing room. But while many of your living expenses might dip slightly or stay the same in retirement, two that are likely to rise are none other than healthcare and leisure. It's estimated that the average 65-year-old man today will spend $189,687 on healthcare in retirement. For the typical 65-year-old woman, that total climbs to $214,565. And since retiring means having more free time on your hands, it stands to reason that you might increase your leisure spending to keep yourself occupied. But don't kid yourself — those museum outings, local plays, and early-bird specials can quickly add up. That's why you're best off assuming your living costs won't drop significantly in retirement and preparing accordingly. Most seniors need roughly 80% of their previous earnings to live comfortably in retirement, and that tells us that the majority won't see much of a drop in their living costs. After all, financial experts these days are urging workers to set aside 15% to 20% of their earnings for the future, and that's great advice. If we back out that 15% o 20%, an 80% income replacement target fits just right. Furthermore, 46% of seniors spend more money, not less, on living costs during their first two years of retirement, according to the Employee Benefit Research Institute. For 33% of seniors, that habit continues for six years into retirement. The punchline, therefore, is that you need to be prepared financially for the costs that lie ahead, keeping in mind that Social Security will only pick up a portion of that tab. 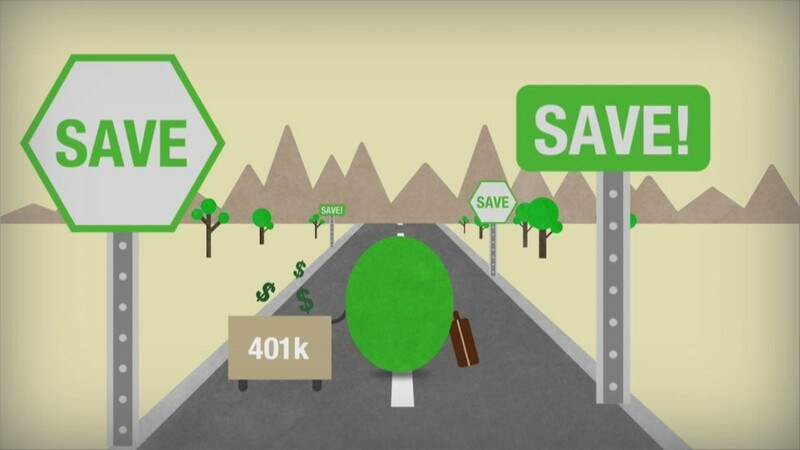 The good news, however, is that if you save consistently throughout your career, or make a major catchup effort later on, you can accumulate enough wealth to cover your expenses and avoid the financial stress so many of today's retirees face. If you have another 35 years of work ahead of you and commit to setting aside $500 a month for the future, you'll end up with roughly $1 million if your investments generate an average annual 7% return during that time (more than doable with stocks). If you're older, you'll need to go big. Max out a 401(k) at the current annual $24,500 limit between the ages of 50 and 70, however, and you'll be sitting on that same $1 million come retirement. Though it's hard to get a handle on what your exact living costs will be in retirement, don't assume they'll magically shrink. Err on the side of caution, and with any luck, you'll wind up with plenty of money to cover whatever bills eventually come your way.